Watercress seeds are grown for both a culinary herb as well as a medicinal herb. It is a succulent, leafy plant that thrives in marshes, bogs and water gardens. The lobed leaves can be eaten raw, cooked or dried. They have a pungent flavor and are crisp. Great as a salad, in soups or on sandwiches. It is a fast-growing plant that prefers partial shade. Watercress plants are highly ornamental and produces white flowers in mid-summer which are very attractive to bees. It is very rich in vitamins and minerals and in alternative medicine, it is used for a wide variety of ailments. 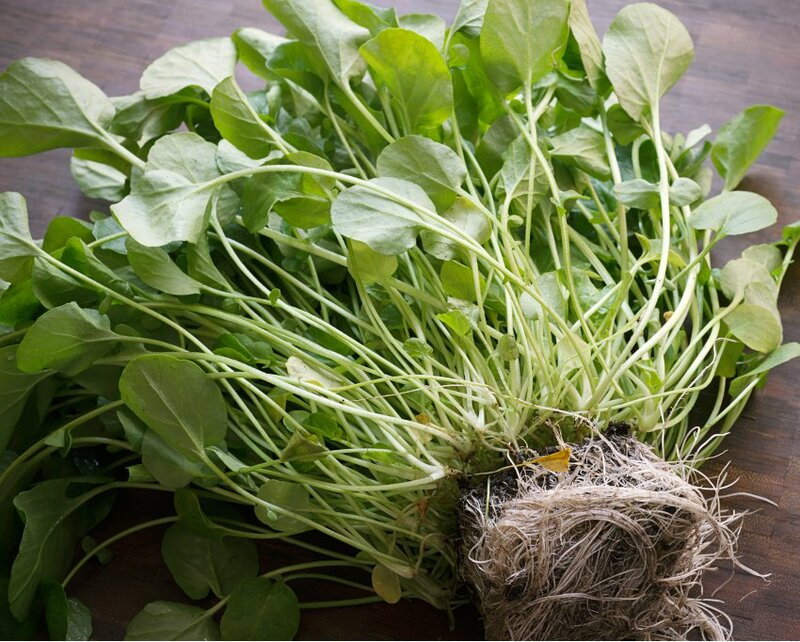 Some other common names that Watercress herb is called are: water rocket, water radish, and hedge mustard. It is in the mustard family. Delicious! Other names: Brunnenkresse, Wasserkresse, Rorippa nasturtium-aquaticum, Sisymbrium nasturtium-aquaticum.